Demi Lovato is being honoured by a mental health organisation for her work as a mental health advocate. The 24-year-old has been very vocal in the past about having bipolar disorder and has worked with charities to help other people living with the condition. She has also released a book and a documentary about people who struggle with mental health problems. The singer will be receiving the Artistic Award of Courage later this month in LA. Lovato is involved with a group of mental health organisations called Be Vocal: Speak Up for Mental Health. Today we are premiering Beyond Silence, a #BeVocalSpeakUp documentary that shows how the power of one voice can inspire and help so many others. We follow three different people –Jeff, Lauren and Lloyd – whose lives have changed by speaking up for mental health. Watch the documentary at BeVocalSpeakUp.com and help us spread the word! 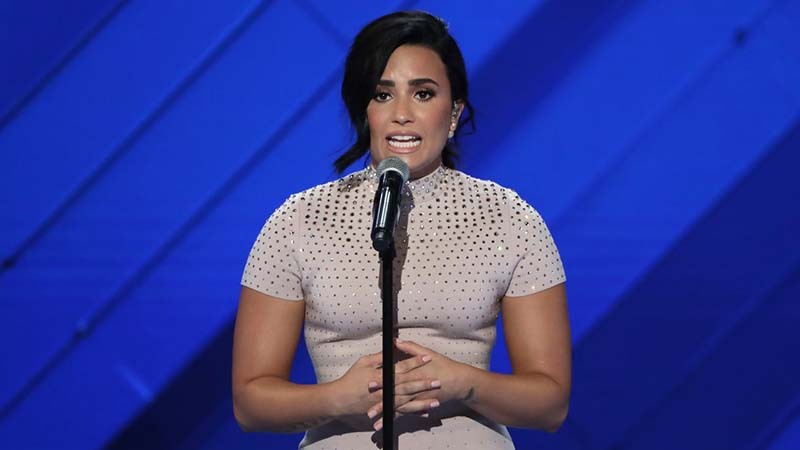 Lovato has previously said she was “relieved” after being diagnosed with bipolar disorder, which helped her to understand her debilitating mood swings. Last year, she spoke in the run-up to the US election about the need to improve treatment for people living with mental health issues. She said: “Like millions of Americans, I am living with mental illness. But I am lucky, I had the resources and support to get treatment at a top facility. The singer told Marie Claire that she was was initially hesitant about revealing her mental health struggles. Lovato will be given her award at the Open Mind Gala, presented by Lisa Kudrow, which benefits mental health research, education and clinical care. Previous ArticleOlder People Sleep Less. Do You Know Why?